Things are happening! Sometimes, I forget how much has happened since we last posted photos because we're spending so much time in the new space that each change seems so small and insignificant. Then, when I look back at where we were just a few weeks ago, I realize how quickly it is all coming together. It's been a couple of weeks since our last construction update and it simultaneously feels like a whole lot has been happening very quickly and not very much is happening and it's moving very slowly. Here's a quick post with some photos of what's been going on with the new space. As we were beginning to put together the plans for our forthcoming expansion, we realized that it was also time to refresh of our brand. We loved our original logo and brand standards, but we felt that with the addition of an on-site brewery, we needed to accentuate that change in a visual way. Our second update on the progress of construction of our new brewery, craft beer store, neighborhood bar, and beer garden. Framing, electric, plumbing, HVAC, and refrigeration work is all underway! Some of you may be wondering what the heck I've been up to over the last few months because, well, I was supposed to be brewing beer for you at our new brewery...and that brewery is still packed up in a warehouse in Raleigh at the moment. So, I'll give you a little behind-the-scenes tour of what an unemployed brewer does in the months leading up to a brewery opening. Here are five great gifts for the craft beer drinkers on your holiday list. 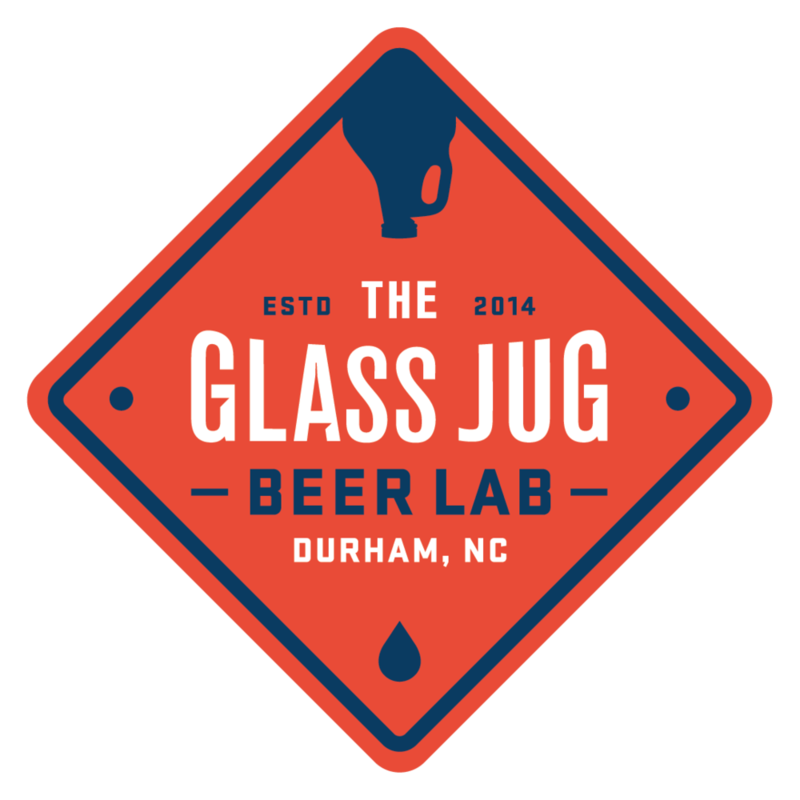 All gifts are currently available for purcahse in-store at The Glass Jug Beer Lab in Durham, NC. Community involvement is something that is very important to us over at The Jug. We've selected a pretty awesome group of charities to partner with this year, and now we need your help to have one more successful donation drive before the end of the year! We've narrowed down the top 5 beers we think you should bring with you to your next Holiday party to impress your hosts. These delicious craft beers are sure to please any beer enthusiast or lover of holiday cheer. A much overdue update on the progress of construction of The Glass Jug Beer Lab's new expansion: a brewery, neighborhood bar, and retail craft beer store. While we do not anticipate having any year-round beers, there are a few rotating series of beers you should be able to try each time you visit The Jug. Whether you're into fruited sours, hazy IPAs, or barrel-aged dark beers, we're pretty sure we'll have a series for you!